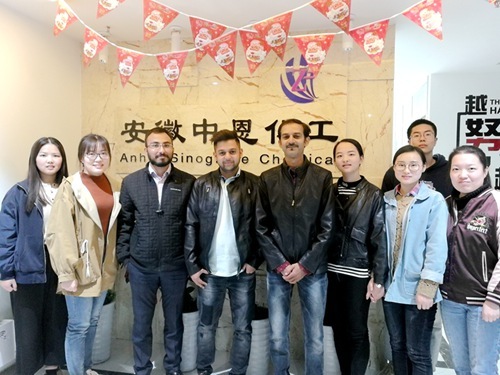 During April 2, 2019, customers from India have come to visit our company. Foreign trade manager and relevant personnel warmly welcome our customers, and introduced our product which they are interested in detailedly. This visit definitely deepens our cooperation with India customers and lay the way for further expand our chemicals in India.